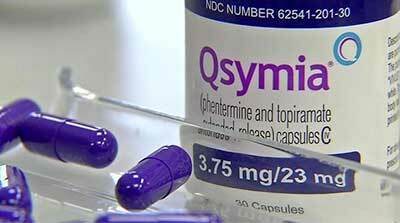 Weight loss supplements come in many different forms and promise all manner of benefits. Slim Sip comes in the form of a weight loss powder that is mixed with water to make an effervescent drink. 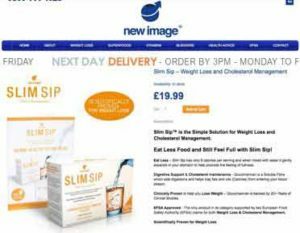 Slim Sip is marketed under the New Image Health brand name, but a little digging reveals the brand is owned by High Street TV Group Ltd. 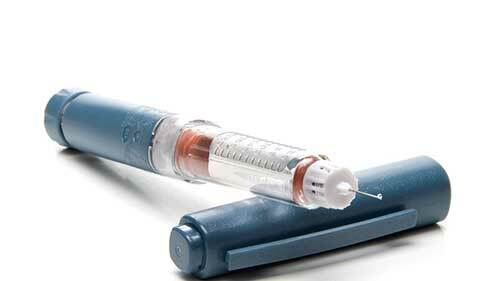 The company is based in Harrogate, England, and markets a variety of products via the various TV shopping channels, but it seems unlikely they will be responsible for producing any of those products so it’s hard to say who is responsible for the Slim Sip manufacturing process. Are you looking for something really convenient that’s very effective? 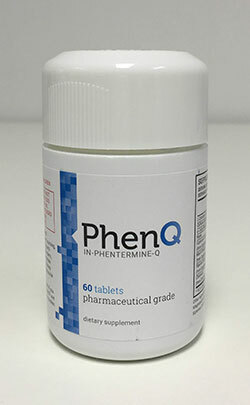 Consider PhenQ, which is arguably the best total diet pill you can buy today, and one of the best value. It contains the latest cutting edge ingredients, such as a-LACYS RESET, and it does everything from appetite suppression to all-out fat burning! A few supplementary binders and fillers are required to provide the drink with its orange flavor, its color, and its effervescent nature, but Slim Sip contains only one active ingredient—konjac. Often called glucomannan, or elephant yam, konjac is fibrous substance taken from the roots of an Asian plant. The fibers cannot be digested by the human stomach, so konjac has no real nutritional value, but it does have the ability to absorb unusually large quantities of liquid (up to 50 times its own weight) and it is this capacity that makes it such a useful appetite suppressor. It is also the reason why weight loss aids that contain konjac are always taken with plenty of water or, as is the case here, mixed with water. Once the fibers have fully expanded in the stomach a feeling fullness is experienced and the limited capacity of the stomach becomes reduced to such an extent that overeating is not a comfortable option. The presence of such a mass in the stomach also causes it to signal the brain that no more food is required. Slim Sip has not been subjected to independent scientific studies, but konjac has tested and proven appetite suppressing abilities, and some tests show it can also help lower cholesterol levels. 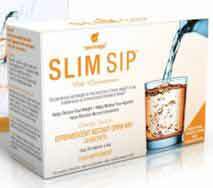 Ideally Slim Sip should be used in conjunction with a calorie reduced diet and regular exercise. To make the Slim Sip drink, one sachet should be mixed with a glass of water and then consumed straight away. 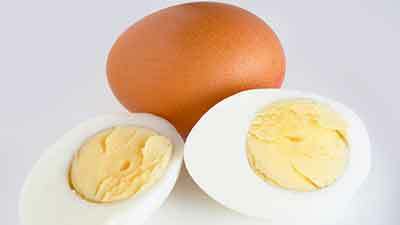 The drink should be consumed three times each day, half an hour before eating the three largest meals of the day. Each Slim Sip drink should be immediately followed by a further one to two glasses of water. Studies conducted by the European Food Safety Agency indicate konjac is at its most effective when at least three doses are taken each day. This is the dosing schedule suggested here, so that’s okay. The studies also indicate each dose should contain 1g or more of konjac, but it is unknown how much konjac each Slim Sip drink provides. Side effects should not be an issue, but pregnant and nursing mothers should consult their doctor prior to taking any form of dietary supplement. 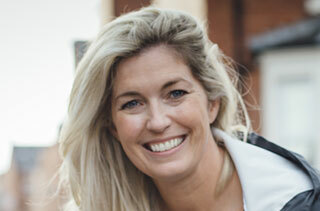 The same advice is offered to anyone who has any health issues or concerns. Slim Sip can be purchased from a number of online stores and can be found gracing the shelves of certain chemists. Prices can vary from one supplier to the next, but a packet of 30 sachets generally costs £17 to £20. Each box contains sufficient sachets for just one week, so Slim Sip is not a particularly cheap weight loss option and there is no money back guarantee. In our opinion there may be more comfortable ways to achieve your weight loss goals. 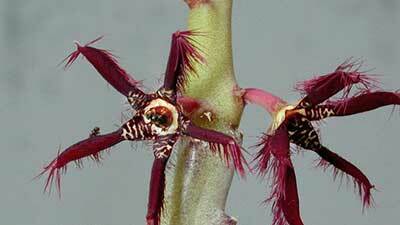 There are lots of products to choose from – the key is finding the best ones. 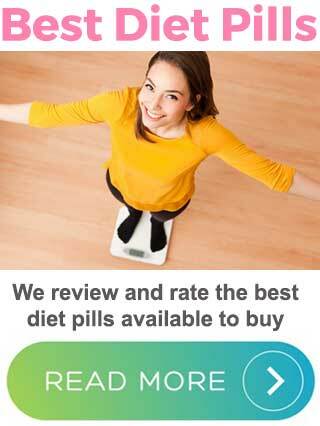 We have reviewed everything from the worst to the best weight loss products around. Follow the link below to find out more about the the most recommended product. 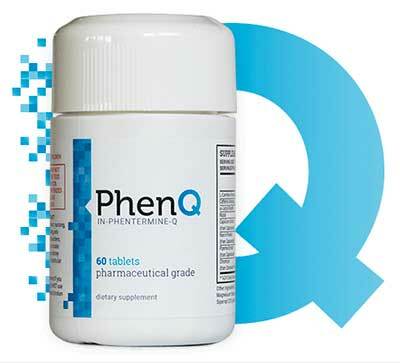 PhenQ is arguably the best product available for overall weight loss and stunning results!! Hi Lynn, thanks for commenting. Glad you had – are having – a good experience with that. 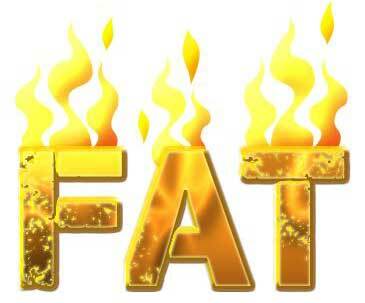 Is there any particular fat-burner that gave you stomach cramps, or do you know a specific ingredient which does that to you? – Always interested to know what people have experienced. Thanks again.